Effective movement preparation and how it affects your training session. Warming up and going through a movement prep phase is important in preventing injury as well as improving performance, never skip your warm up!! Preparation is key in ensuring that your body is fully prepared to perform at its best. Well-designed movement prep should maximise your athletic potential. So, how do you know if your warm up is effective? Your warm-up should increase blood flow, muscle temperature, core temperature and disrupt temporary connective tissue bonds. Faster muscle contraction and relaxation of both agonist and antagonist muscles. Improvements in the rate of force development. Improvements in muscle strength and power. Lowered viscous resistance in muscles. Improved oxygen delivery due to the Bohr effect where higher temperatures facilitate oxygen release from haemoglobin and myoglobin. Increased blood flow to active muscles. Designing an effective warm up. This framework allows you to construct your warm-up in an effective sequence and get the most out of your training (2). Body temperature, heart rate, respiration rate, blood flow and joint viscosity. Ideally, this should be a cardio based exercise performed at a low-moderate intensity for a minimum of 5 minutes. My personal favourite is to jog on the treadmill or use the stepper machine before I start my workout. It is so easy to get your heart rate up and blood flowing, choose your favourite cardio-based exercise (machine or not), put those headphones on and get yourself moving for 5-10 minutes! 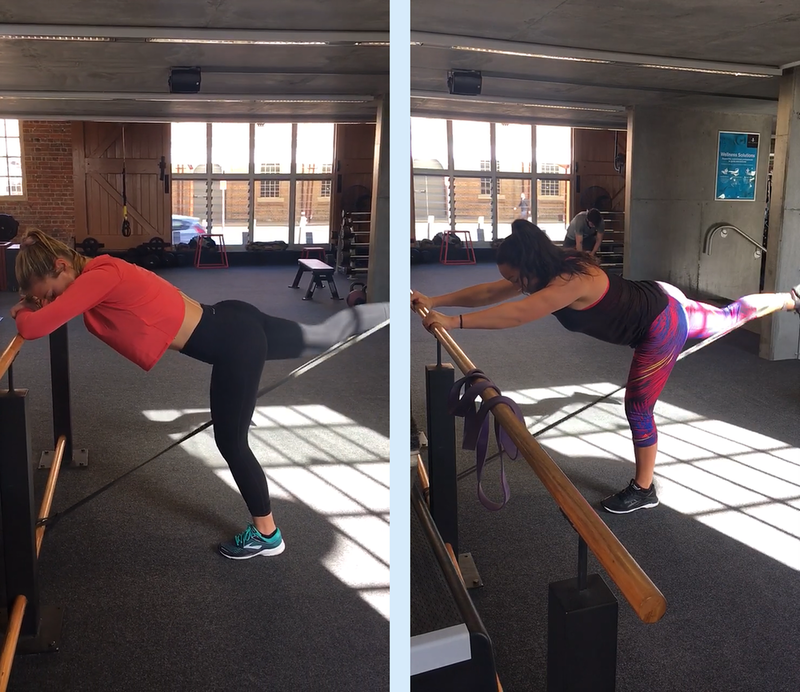 It is so incredibly important to activate your muscles and mobilise your joints before you start a training session! Think specific activation here, which major and minor muscle groups are you using in your workout? What kind of movements are you doing (push or pull)? Which planes will you be moving in? Think about the movements and demands of your training session! 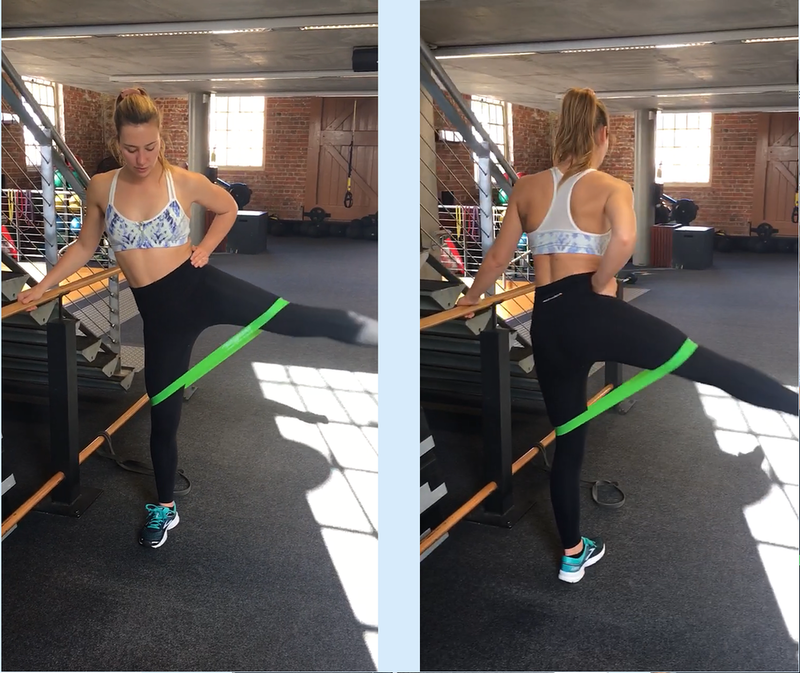 Mini-resistance bands are invaluable when it comes to activation and mobilisation! I always suggest that my clients have a mini-band and I always have at least 4 of them on hand at the gym, anyone who knows me or trains with me knows how much I love them! My clients all have a love-hate relationship with them (lol! ), BUT they’re incredibly effective! This phase should take around 10 minutes to complete. The aim of this phase of the warm-up is to use the principle of post-activation potentiation. This phase of the warm-up will begin to transfer into the workout itself, meaning it will begin to incorporate movement-specific activities using increasing intensities. This phase should only take 2-3 minutes. The goals of your training session will affect how you decide to complete this phase of the warm-up. Generally, plyometrics, dynamic stretching and warm-up reps are considered useful to implement during this phase of your warm-up. Notice that static stretching was not brought up in relation to the warm-up. There is a little bit of controversy surrounding the use of static stretching. Dynamic stretching, however, has been consistently shown to improve subsequent performance (1). Because dynamic stretching requires the muscle to activate through a full range of movement, it also contributes to the neural activation. As a result, dynamic stretching may be the most appropriate form of mobilisation during warm-ups for most activities and sports which are dynamic in nature. There is nothing wrong with doing some static stretching before your program, just finish your warm-up off with some dynamic movements before you start.